A collection of links to some insurance companies that specialize in collector car coverage. 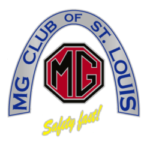 The MG Club of St. Louis does not endorse or recommend any of these entities we’re simply providing informational links. As with using any business or service, please do your own due diligence and reference checking. Please click on a letter below to jump to that section of the list if you know the name you are looking for. Otherwise take a leisurely scroll through the listings. Built for the true classic car enthusiast, each issue of Classic Motorsports features profiles on popular as well as unknown classics, along with comparison tests, useful technical articles, buying guides, personality pieces and more. Published bimonthly on high-quality stock with sharp photography and presented with insightful, informative and easy-to-understand writing that speaks to every enthusiast, Classic Motorsports looks great on your coffee table or on your workbench. Our popular project cars are a mainstay of Classic Motorsports, with plenty of “how-to” advice designed to help novice and expert enthusiasts alike. Vintage race reports, rally and auction results are also featured in the pages of Classic Motorsports, making this magazine an indispensable resource for enhancing your favorite hobby. Mark Evans has done some exceptional programs for Discovery Channel UK including “An MG is Born” which gives a lot of insight into how an MGB was built and what it takes to restore one. Check out Mark’s online shop to buy any of his DVDs, plus take advantage of Mark’s exclusive offers including signed copies of his “Is Born” DVD’s, limited edition “behind-the-scenes” photo CDs and discounts on bundles. Ordering from Mark’s shop is simple, straightforward and secure. All major credit and debit cards are accepted. A bimonthly magazine dedicated to the magic of MG cars and the people who love them..